Make mum’s day a special one with a ride on a hot-air balloon. Because Mother’s Day is not so far away. Contact us and discover our very special offers now. Wishing you the best Valentine full of love, joy and true romance. Drift into the sky, in the balloons, you will go high, and have the most wonderful and peaceful valentine. Buy a lovely ride and get another romantic one FREE, for the Valentine times are romantic and are now waiting for only you! 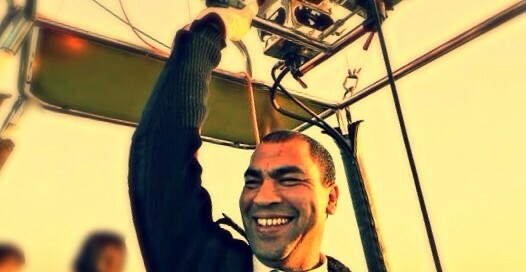 Amazing moments with Magic Horizon Balloons, Luxor! Hugh Michael Jackman, Australian actor and producer, is involved in film, musical theatre, and television. He has won international recognition for his roles in major films, notably as superhero, period, and romance characters. He is known for his long-running role as Wolverine in the X-Men film series, as well as for his leads in Kate & Leopold, Van Helsing, The Prestige, Australia, Real Steel, Les Mis?rables, and Prisoners. His work in Les Mis?rables earned him his first Academy Award nomination for Best Actor and his first Golden Globe Award for Best Actor in a Musical or Comedy in 2013. He is also a singer, dancer, and actor in stage musicals, and won a Tony Award for his role in The Boy from Oz. A three-time host of the Tony Awards, winning an Emmy Award for one of these appearances, Jackman also hosted the 81st Academy Awards on 22 February 2009. Meet one of our pilots: Capitain Baha or Bob, as everybody calls him. “Flying is not only my life, it’s my world… It’s a magical thing!” This is what he says if you ask him about its job. Every one of a hundred thousand cities around the world had its own special sunset and it was worth going there, just once, if only to see the sun go down.? … and follow our magical journeys! To stay is to exist, but to travel is to live. In Luxor, modern life and ancient death live in harmony. On the Niles’s east bank, two stately temples anchor the city, while on the west bank, the desert ruins of Pharaonic temples embrace a hand of green brought to life by the river waters. There is no better way to truly grasp how past and present are interwoven than from the air. 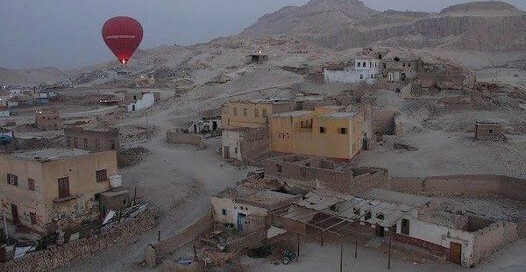 In a hot-air balloon, far above building walls and agricultural fields, the entire city becomes an open-air museum. IN LUXOR YOU SEE SOMETHING REALLY UNIQUE: THOUSANDS OF YEARS OF CIVILIZATION. Visitors come from halfway around the world to see the ancient treasures of Egypt and Magic Horizon Balloons company certainly offers the most unusual perspective of all. Our flights are packed with tidbits of history and sky-high glimpses of the Valley of the Queens, Valley of the Nobles, Valley of the Workers and the majestic Temple of Hatshepsut, carved right out of the cliff. Luxor has been called the biggest open-air museum on the planet and as you look down on the elaborate tributes to the gods on the east bank of the river Nile, the temples of Luxor and Karnak- and the monuments to death on the west bank, the tombs and mortuary temples of Egypt’ pharaohs- it is clear this is the handiwork of higher beings.